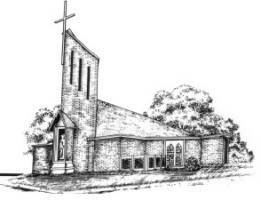 Description: St Joseph Church offers a Campus Ministry Mass on Sunday evenings at 5 pm, for local college students. The Mass is held during the semesters, and is not offered when the students are on holiday breaks. After the Mass, a meal is provided for those students that attend Mass. Food, fellowship, and worship, allow our college students to start their week off in a positive state of mind. Maintaining a connection with a Catholic community during the college years can be a challenge for many, but with a supportive ministry to guide them, our young adults have the chance to lead active roles in our parish. For more information, please contact Kim Kroeger at ccm@stjosephflorence.org. Volunteers to serve at Mass are welcomed, as are volunteers to provide meals for our college students. Description: John Martignoni, host of EWTN's Open Line will speak on "One Church" after the 5:30 pm Mass. St Joseph Church offers a Campus Ministry Mass on Sunday evenings at 5 pm, for local college students. The Mass is held during the semesters, and is not offered when the students are on holiday breaks. After the Mass, a meal is provided for those students that attend Mass. Food, fellowship, and worship, allow our college students to start their week off in a positive state of mind. Maintaining a connection with a Catholic community during the college years can be a challenge for many, but with a supportive ministry to guide them, our young adults have the chance to lead active roles in our parish. John Martignoni, host of EWTN's Open Line will speak on "One Church" after the 5:30 pm Mass.